Catch up on more of the action from Round 1 of the 2015 Heritage Touring Car series, held with the HSRCA at Wakefield Park over the 21st and 22nd of February, in this bumper photo gallery from the event. 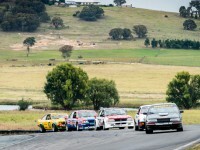 Catch up on some of the action from Round 1 of the 2015 Heritage Touring Car Series thanks to this brilliant photo gallery by Brent Murray. 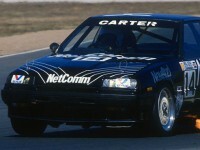 THE 2015 Heritage Touring Cars championship kicks off this weekend at Wakefield Park and a familiar Nissan makes its return to the track after a long lay-off as part of the 18-car field. 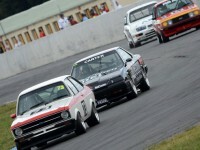 PENRITE Oils Heritage Touring Cars will join the ever-popular support category line-up for the 2015 Formula 1® Rolex Australian Grand Prix at Albert Park in Melbourne.